The summit held at the East London Convention Centre (EL ICC) on Monday 13 to Wednesday 15 August. The theme for the summit is Working together to promote gender equality, sustainable development and good governance and celebrating 100 Years of Albertina Sisulu. 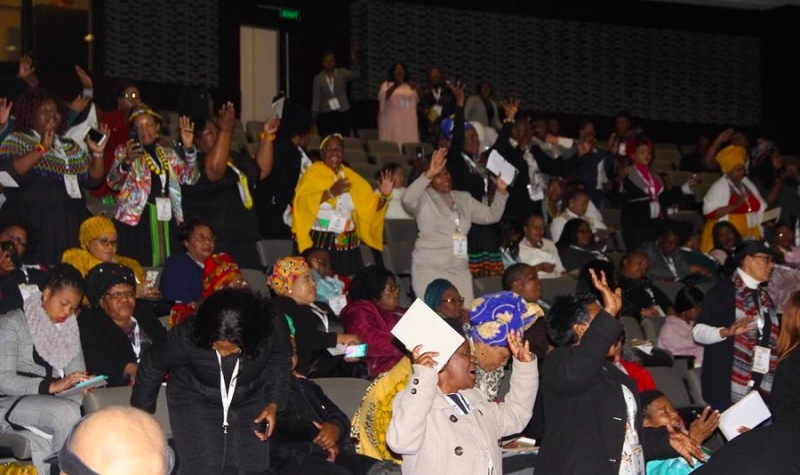 Woman of fortitude: Women united in moving South Africa Forward. She added that the Commission’s mandate is established to coordinate, promote and advocate for gender appropriate strategies and practices within member and feed into regional and continental processes. Day two saw the emphasis of the 50/50 structure where women will also be seen as equal to men. • Non-adherence to equal gender representation (50/50) in leadership and decision making positions. The structures of local government do not adequately reflect the number of women in decision structures. • Improve reporting, monitoring and evaluation of the work of the SWC (lack of desegregated data on how different projects and programmes accommodate and address women empowerment as well as gender equality matters). The expected outcomes of the summit include, prioritised key issues towards women empowerment and gender mainstreaming in local government. Women in local government geared to deliver on a clear agenda for women empowerment and gender mainstreaming. Parallel sessions of the summit saw the formulating of strategies, solutions and actions for change, these included topics such as, legislation review, participation of women in leadership and decision making positions, gender mainstreaming in local government and lastly strengthening women and gender structures in local government. Day two of the summit ended off with a cultural dinner and entertainment with traditional attires which took place at the East London City Hall. The last day of the summit which is day three will see a report back from Commissions and the Programme Director of the session will be Gauteng Province Provincial Chairperson Parks Tau. The final remarks on Commitment by SALGA will be done by SALGA Chief Executive Officer (CEO) Xolile George.